Last year, my cute little bantam frizzle rooster, Kookoocahoo, was taken out by a Cooper’s hawk. Kookoo was a great rooster who was good to his girls and provided me with lots of entertainment (I mean, the guy could MOON WALK!). It was a sad day on the farm. Allowing your flock to free range comes with all sorts of safety issues. There are many animals out there that would love a warm chicken dinner. Cooper’s hawks are some of them. A Cooper’s hawk is an especially big threat as far as hawks go. They don’t just fly overhead looking for something to snack on. While high-flying hawks do pose threat, once spotted, a startled flock will run for cover under the nearest bush or tree. Usually, that’s enough to keep them safe. Cooper’s hawks, on the other hand, fly down under the trees, where the flock will be hiding, to take out their victim. 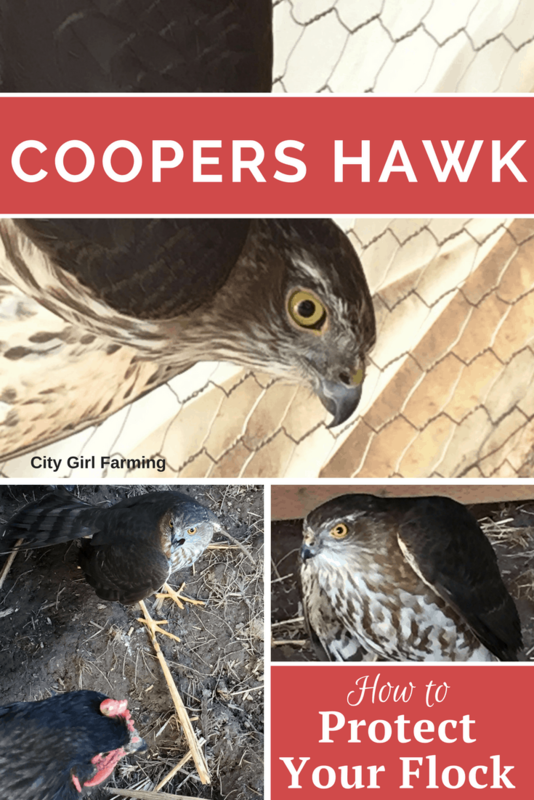 No place is safe from a Cooper’s hawk (besides keeping your flock locked up in a completely enclosed area). This past week, I heard a bunch of squawking outside my office window one afternoon. I looked out to see a Cooper’s flying about a foot off the ground, across the yard and into the open coop. I thought for sure he must have nabbed one of my girls, so I rushed outside and followed the hawk into the chicken run. This hawk was young and small. Thankfully. My startled hens, following me into the coop, became enraged to see this little hawk in THEIR coop. They cornered him and tempers on both sides flared. The hens, with hackle feathers raised, complained loudly in protest about their unwelcome visitor. The hawk, cornered by something that he thought was going to be dinner, screeched back at them. I decided the best thing to do was to get the hens out of the coop. Normally, this is a simple task. Not so that day. I begged, pleaded, used my nicest sing-song voice. Nothing. They were riled up and not having it. Finally I ran out to the feed bin and coaxed them out with the promise of food. Once the hens were out-of-the-way, I could work on getting the hawk out of the coop (he was having a hard time finding the door). In the end, it all worked out. Whew. But there were a couple tense moments in the midst of the stand-off between a hawk and my flock. It could have gotten ugly. What Can Be Done to Protect Against Hawks? Since Cooper’s hawks are a real threat for any free ranging flock, the most obvious and simple answer to keeping your hens safe is to keep them locked up. While there are good points on both sides of that debate, I’m not going to discuss them here. I do allow my birds the opportunity to run around the farm from noon -ish until dusk when they put themselves to bed. And at times, I’ve paid the price for that. If flock lock down isn’t something you want to do, are there ways to protect the flock? Cooper’s hawks are sneaky, hunting in ways that leave the flock exposed. And they’re protected by federal law. IT IS ILLEGAL TO KILL HAWKS (ANY kind of hawk for ANY reason). Most other wild predators killing your animals are fair game (check with your state laws to see what your specific local regulations are), but hawks are off-limits no matter what, to everyone. 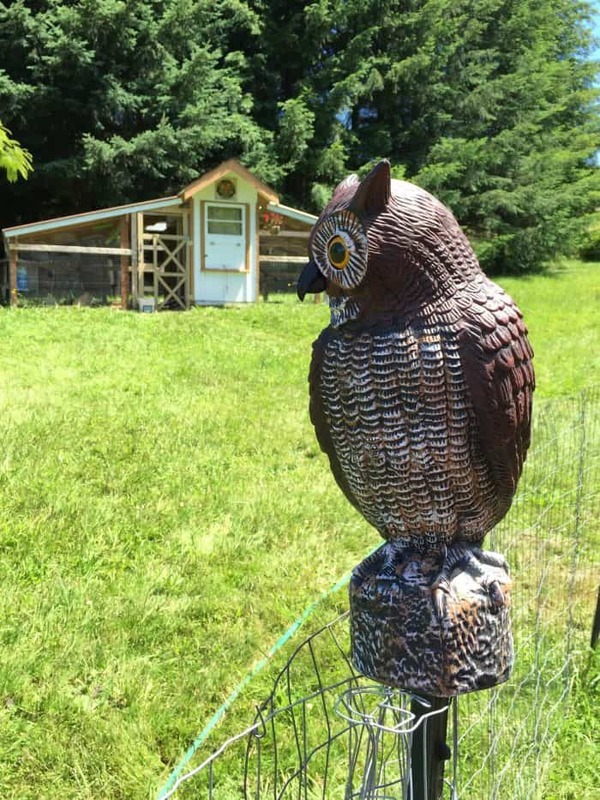 Another hawk deterrent is owls. Hawks and owls don’t get along. Since you obviously can’t employ a real owl (who would also love to eat your chickens), you’ll have to rely on a decoy. You can get them at sporting goods stores or online (like here). 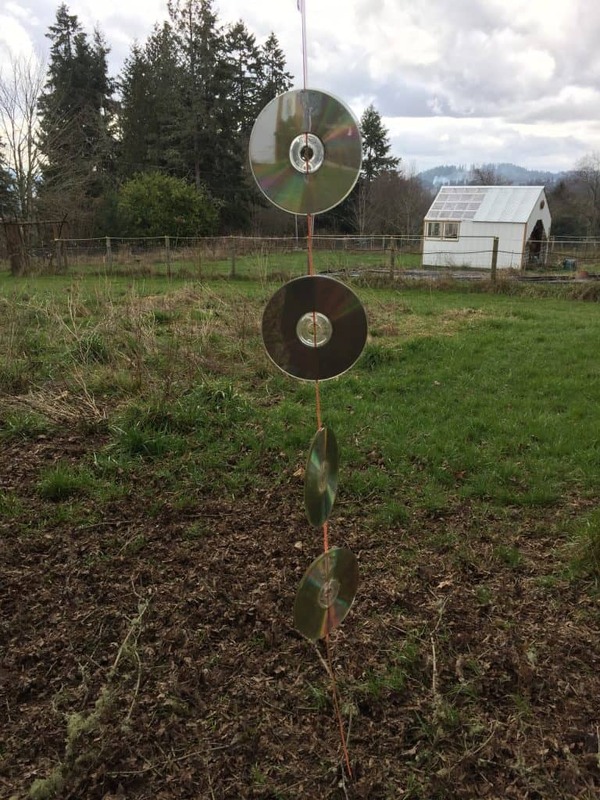 Simply set them up in plain view for everyone to see and then move them around regularly (I move mine on odd days) to keep everyone on their toes. It’s also a good idea to put your fake owl away during off-season (so nobody gets too used to seeing it around). It might also be a good idea if you learn what these hawks sound like. If you keep an ear out for their call, you can run outside when you hear it and hopefully avert danger for the flock. Of course, this is easier to do if you’re home a lot (I work from home and wander out to the chicken yard often throughout the day), but it’s still a good idea to know what they sound like. While none of these deterrents are fool-proof, any sort of discouragement helps. And for every discouraged hawk that decides to take the long way around the farm, there’s a hen hanging out in the yard oblivious to danger, contentedly scratching up bug and having a good life.